The luxurious gem that is The Crane Resort located on the East Coast of Barbados has long been regarded as one of the Caribbean’s most iconic and truly treasured luxury properties. With sprawling ocean views, lush gardens and the most courteous staff on the island, a stay here will encourage rest and relaxation in its highest form. Once you check into your suite, unpack your bags and let the sounds of the ocean and island birds transport you to paradise. Better yet, take a stroll and grab a seat at one of the properties award-winning restaurants. If your stay happens to fall on a Sunday, enjoy a brunch at L’Azure for a generous serving of gospel music and a side of quintessential Caribbean delicacies. After you’ve serviced your appetite, get lost in an open air market that emphasizes the best of Caribbean cultureat every turn. With a coconut in one hand and a camera in the other, walk down the colourful streets of Barbados and immerse yourself in everything that the island has to offer. 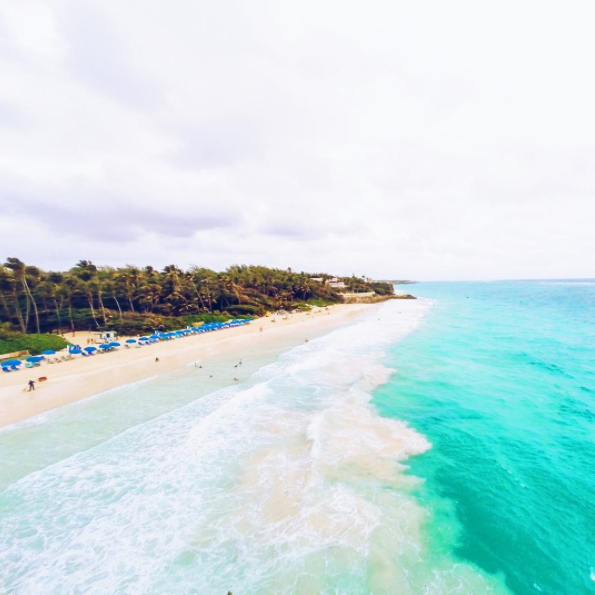 And for a few moments of sensory overload, run, not walk to Cutters of Barbados for the best flying fish and rum punch your tongue will ever taste. When all is said and done, relax by the waves or make your way to the Serenity Spa for a holistic approach to wellness. This truly unique experience evokes both elegance and adventure in one package. So trust us when we say that no trip to Barbados is complete without The Crane.